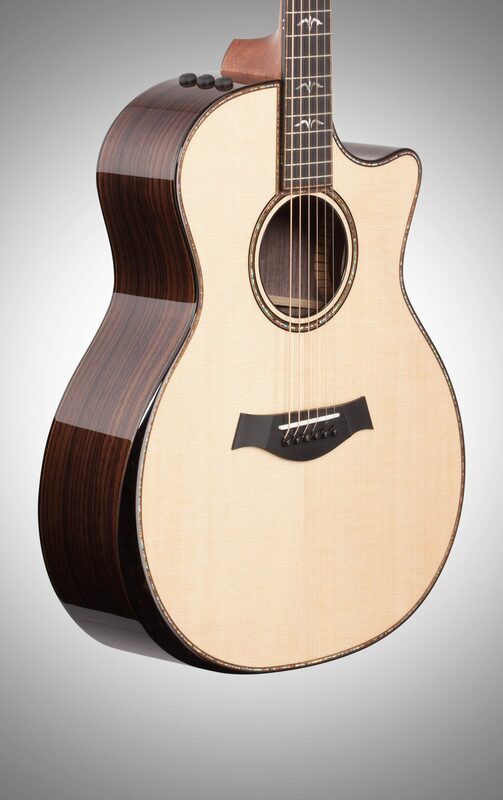 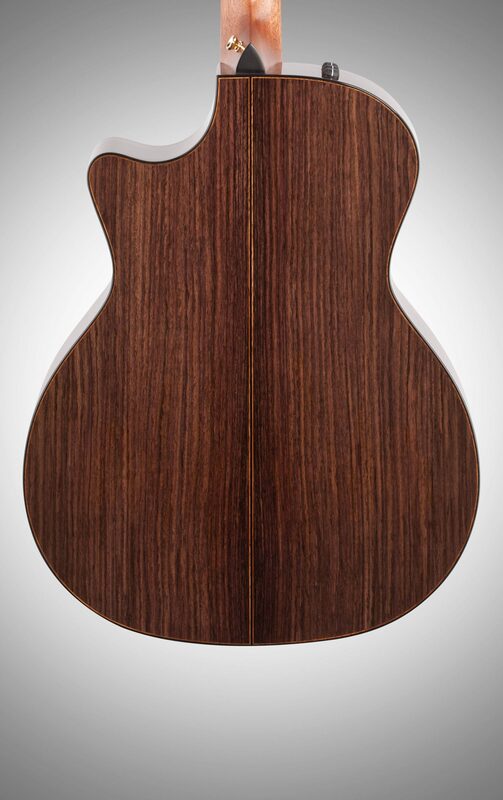 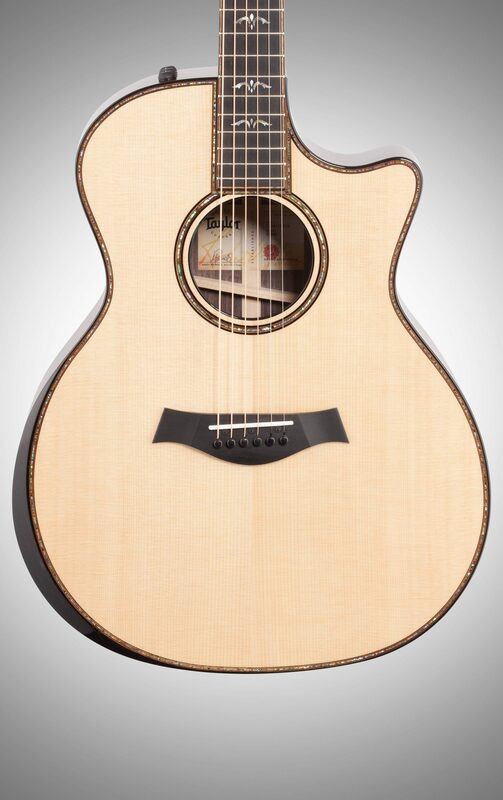 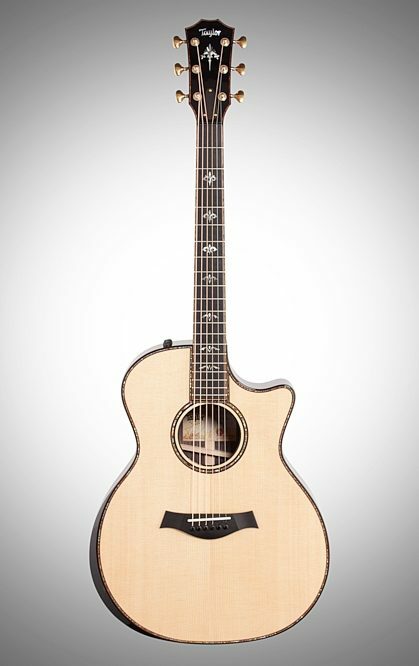 Taylor's 900 series Grand Auditorium is the top-of-the-line rosewood series guitar that utilizes Taylor's innovative V-Class bracing. 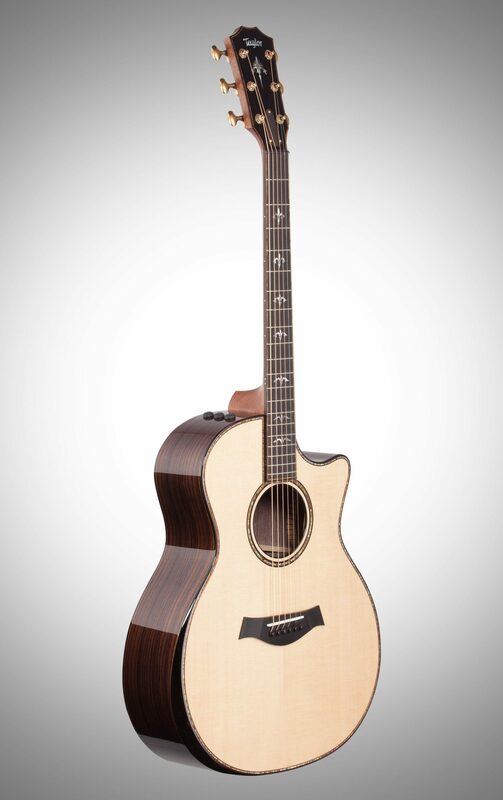 This flagship series model combines art and function with finely crafted features that create an understated elegance using an ebony contoured armrest combined with ebony binding, koa purfling, and an abalone edged top. 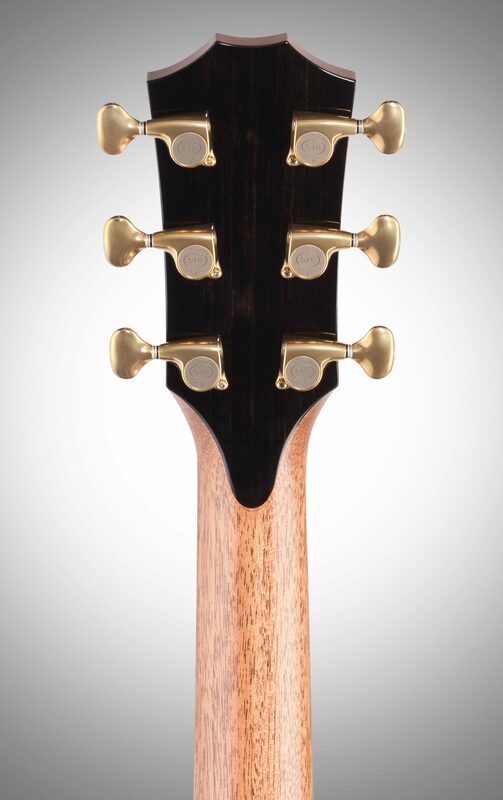 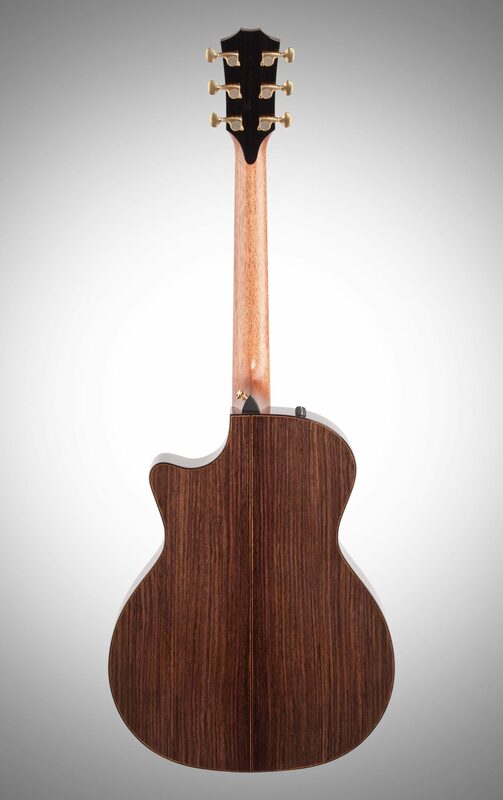 The armrest assists the player with comfort and reduces potential dampening effect by keeping the players right arm off the top of the guitar while the abalone edged top, koa purfling, and ebony binding pair nicely with the exquisite abalone/pearl Ascension fretboard inlays. 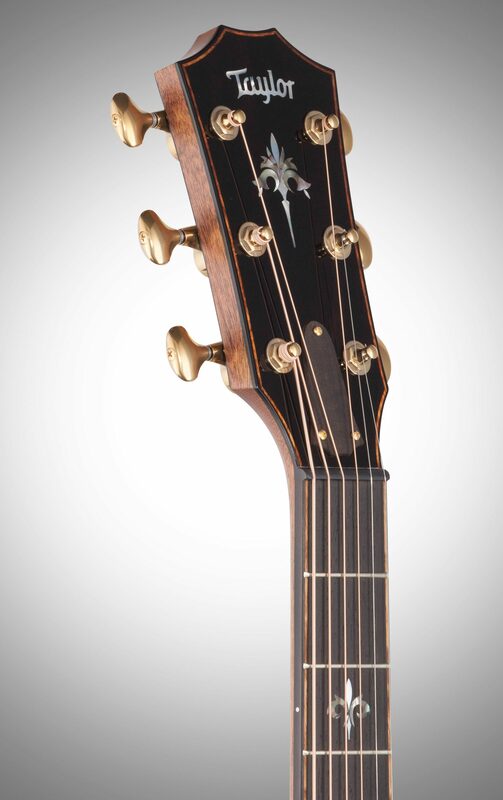 Other features include a paua rosette with koa ebony purfling, premium Gotoh gold tuners, legendary Expression System 2 electronics, and a Taylor deluxe hardshell case for ideal fit and protection.